Learn outdoor survival skills in the museum grounds with Rachel Dawber. 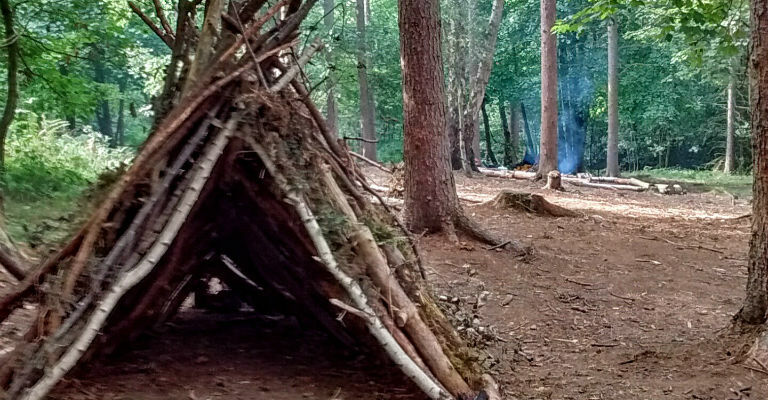 Make shelters, saw and split wood, learn how to light a fire with a flint and steel before whittling wood for marshmallow sticks. Then relax and enjoy hot chocolate and marshmallows around the camp fire. Suitable for age 7+ who must be accompanied by an adult for whom there is no charge for this event.